Health promotion and preventative care focuses on encouraging people to go from poor health to good health and preventing future illness or injury. It is turning away from disease to health. Wellness requires and focuses on individual responsibility it is the search for continued improvement in life, constantly striving to improve our function, to do better, to be better. It is a paradigm shift from our current system in which we wait for illness or dysfunction before seeking care. In our society today very few focus on continued improvement of their function. They are the performers; whether in sports, art or business those who consistently strive to improve performance and produce something more than they ever have before. This is the idea of wellness. Few understand this. The majority of people in this country have their basic needs met. Most of the people in the USA have a roof over their head and food to eat. The USA has about 8% unemployment, and that is not good, but that means over 90% employment. The vast majority of adults in this country are physically well enough to do a job, yet nearly 70% of Americans are regularly taking a drug of some sort. Health promotion and prevention have their place as does emergency care, but the best way to promote health and prevent illness is to strive for constant betterment, or wellness. Wellness care is opposed to our current model of health care. Our current model would be out of business if everyone overcame their current malady and was able to stop taking medication. A wellness model thrives when everyone feels fine, but wants to get even more out of life. Consider the aged patient who is not in pain and not sick, but wants to be able to function better so that he can play more with his grand kids. What treatment is available for the new mother who has no condition, but wants to have more energy and vitality, or the child who doesn’t have ADHD, but wants to be able to focus better in school. These are wellness dilemmas, and if you go to your primary care provider they will likely tell you that there is nothing that they can do for you. 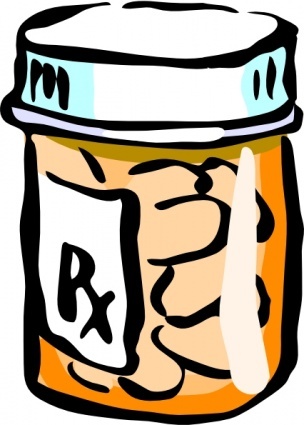 In fact it would be unethical if not illegal to prescribe medication for any of those reasons. Golfers improve their swing and drive the ball farther. Sprinters and Jumpers all improve their speed and jumps with chiropractic care. Football players show improved performances. General athletic ability improves more with chiropractic care than without. If it improves performance of athletes then also improves performance in daily activities that aren’t measured as often. Chiropractors are in a unique position to promote wellness because of the benefit that our treatment has for healthy people as well as for those who are injured. Chiropractors can start by adopting a wellness attitude. They can find out some of parts of life that they can improve. For example a woman who wants to not just have a normal pregnancy, but an excellent one should see a chiropractor who would provide treatment to keep her body functioning at it’s peak. He could give a home exercise program and diet recommendations all before she even becomes pregnant to prepare her body for that process. Chiropractic care can support her body through the changes that pregnancy entails. The overweight patient who has become determined to run a marathon will need counsel, guidance and structural care as his body changes to adapt to the weight loss and the new stresses that will be encountered. The student who wants to improve concentration can begin by seeing a chiropractor to remove structural discomfort that can distract, and to receive nutritional counsel to provide adequate hydration and nutrition and even promote focus. While our society has come along way and fought disease for centuries, perhaps the better way to fight disease is to focus on achieving the best health possible. That is Wellness! This entry was posted in Chiropractic in General and tagged Chiropractic, Chiropractor, energy and vitality, Health, wellness model on September 24, 2013 by cmnacnud. There are three phases of treatment that I usually tell to patients. There are lots of ways to divide phases of recovery/care this is just one way that I explain things to patients. The first phase is the Acute Phase of Care. In this phase our goal is to reduce symptoms, such as pain. Most people feel that if they aren’t in pain they are healthy. Pain as discussed before is a lousy indicator of health. For example a cavity in your tooth doesn’t become painful until after it gets to the root, but everyone knows that the cavity was there long before that. With cancer you always hear about early diagnosis and treatment long before symptoms being the best way to treat the disease. The second phase is the Corrective Phase of Care. In order to prevent or reduce the risk of recurring injury you need to continue treatment until the problem has been corrected and your body has been strengthened. This is often long after your symptoms are gone. You won’t need to receive adjustments as often in the corrective phase, and depending on your condition you may begin exercises and other home care to strengthen your body and provide accelerated healing. There may be occasional symptom flare-ups in this stage of care. Like a bruise in this phase it doesn’t hurt unless you poke it and then it reminds you in no uncertain terms that yes it is still there. Your body has not quite finished the healing process. Imagine a scrape. 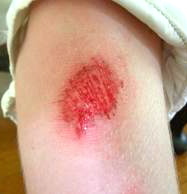 The pain is gone in hours but the scab remains for weeks, still a reminder that your body isn’t done healing. The third phase of care is Wellness Care. Just like getting six-pack abs it takes a lot of effort to get them. Maintaining them takes much less effort but must be done or they disappear a lot quicker than the time it took to get them. Regular chiropractic care can help keep your body at it’s best and catch problems early. This entry was posted in Chiropractic, Chiropractic in General, Chiropractor and tagged Chiropractic, Chiropractor, Health, health care, How long does chiropractic take, phases of care on July 8, 2013 by cmnacnud. Pain is a measure of inability, function is a measure of ability. Our current system is poorly named. We call it “health care” when in reality it would be better named “sick care.” We have been taught in this system that you should see your doctor when you have some sort of inability or impediment to your daily routine. Our system is VERY GOOD at sick care. It is not focused on health it is focused on eliminating sickness. If you focus on health you have to start where ever you are at in the spectrum of wellness and aim to improve it. If you are “within normal limits” that doesn’t mean you are healthy it just means that you aren’t sick enough to require medication. We can easily see this principle in the people around us. Some people aren’t sick, but you wouldn’t call them fit or vibrantly healthy either. Some people you look at and can tell that they take care of their body, and some don’t, but the vast majority of them aren’t “sick.” Health care should be about getting you as healthy as you can be. Going to a chiropractor only when you have back pain is like going to a dentist only when you have tooth pain, or only going to the gym when you feel fat. Chiropractors are about more than just “sick care,” though we do care for people when they are in pain, we also will encourage and recommend health care to help you be as vibrant as possible. You see pain can measure how unable you are to do something, but we want to measure how able you are to do things. How fast can you run? How much can you do? If you would like to improve your ability see your chiropractor. Olympic and Professional Athletes do it because even though they are not sick and their ability may be above yours and mine they want to max out their ability. How able do you want to be? Your chiropractor can help you achieve that level of health/function/ability. This entry was posted in Chiropractic, Chiropractic in General and tagged Chiropractic, Chiropractor, Function, pain on May 23, 2013 by cmnacnud. 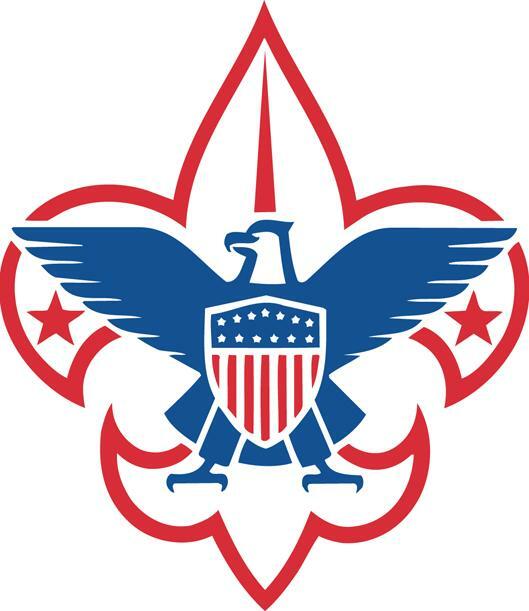 The Boy Scouts of America (BSA) is a valuable organization to our country and to the boys that it serves. Having served in the BSA for years, I can attest to the benefits of the organization. As with every organization there is always room for improvement. In 2009 the BSA made a change in its policy regarding what professionals can perform participation physicals for the boys. For decades prior to this decision Doctors of Chiropractic were performing physicals for Boy Scouts often times free of charge so that they could participate in their summer camps and other physical activities. These chiropractors were acting in accordance with their licenses in their respective states. The state of Utah where I practice allows chiropractors to perform participation physicals for schools or for employment. Despite their license and education the BSA will no longer accept physicals performed by a chiropractor. There were no complaints or incidents over the 20 years when chiropractors were performing these physicals. If you would like to do something about this issue please visit the American Chiropractic Associations action site here: http://www.acatoday.org/letters/bsa.cfm and follow the suggestions that they have there. This entry was posted in Boy Scouts of America, Chiropractic, Chiropractic in General, Chiropractor and tagged Boy Scouts, Boy Scouts of America, Chiropractic, Chiropractor, Physical Exam, Physicals on April 2, 2013 by cmnacnud. I’m back in Utah. I have decided that rather than opening up my own private practice that I would instead work at an already established practice. I am now the primary treating doctor at Utah Spinal Care. Utah Spinal Care is a family practice office in Sandy Utah just up the road from Rio Tinto Stadium and the South Towne Expo Center. We are located at 880 E 9400 S Sandy, UT 84094. For directions, maps, pricing, etc. please visit the website or our Facebook page. Come visit us and pass the word along. If you or anyone you know is in need of some Spinal Care give us a call to set up an appointment at 801-523-0073. This entry was posted in Chiropractic in General and tagged Adjustment, back pain, Chiropractic, Chiropractor, Health, low back pain, manipulation, pain, Pregnancy, Prevention, treatment, Utah on March 18, 2013 by cmnacnud. It is official, yesterday a group of doctors from the Utah Chiropractic Physician’s Association (UCPA) including myself met with the Governor Gary Herbert as he signed a declaration declaring October 2009 as Chiropractic Month. He spoke with us of his support of chiropractic and mentioned his gratitude for the work that chiropractic has done for himself, his family, and for Utah. Now Therefore, I, Gary R. Herbert, Governor of the State of Utah, do hereby proclaim October 2009, as Chiropractic Month. This entry was posted in Chiropractic in General and tagged chiropractic month, Chiropractor, governor, Headaches, Utah on October 14, 2009 by cmnacnud.